I was just floored when i saw this for the first time. 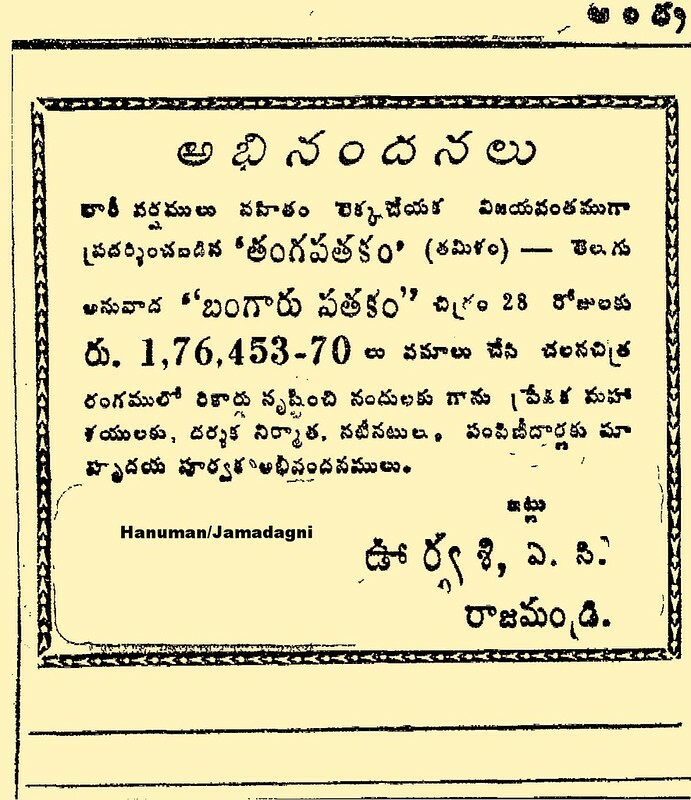 A Tamil movie creating a town record in 70s……well, there were many dubbed movies that did amazingly well in Telugu. But I think no other dubbed movie would have created a town record like this before. “Geetha Arts” won a jackpot by dubbing this movie into Telugu. K.Raghavendra Rao improved this subject and made “Kondaveeti Simham” five years later. The director also used the theme of the song “Neeyum Naanumaa“*- protogonist standing before the paintings from Indian Mythologies– from Chaveliers’ towering hit “Gowravam” in his equally rivetting movie ” AgniParvatham“. But the ace director can find some solace from the fact that his “Justice Chowdhary” was re-made in Tamil as”Neethipathi” with the Tamil film Icon.